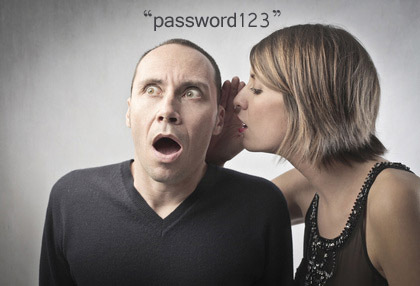 What to Do About Password-Sharing? Sometimes people share passwords. This practice might stem from the lack of support for unique user account in some applications. Even more importantly, the reasons for password-sharing have to do with convenience and social norms. Technologists are starting to recognize the opportunity to account for these real-world practices in their products. I detailed password-sharing practices in my post on the future of user account access sharing and presented several examples. I looked mostly at consumer and small business situations, not necessarily at heavily-controlled enterprise applications. For instance, adults frequently share logon credentials to their Netflix accounts among a small group of people. This saves on Netflix service fees. Netflix seems to not only tolerate, but even encourage this practice. The service supports multiple user profiles as part of a single account. One set of logon credentials is actually expected to be used by multiple individuals! A security purist would not approve. Yet, this product management decision recognized the lack of users interest in safeguarding their Netflix account from friends and family members. For other examples, consider a small office environment within which individuals trust each other enough to share passwords to applications and websites used by the company, such as Pandora, UPS, MailChimp, etc. Preaching to these people about the importance of individual logon credentials is usually a waste of time. This is why I hailed the emergence of password vault applications such as Mitro, which make it easier for individuals to share passwords while offering some security safeguards that don’t exist when using Post-it notes for this purpose. Let’s project into the future a bit. According to danah boyd, teens often share passwords with friends as a sign of trust. This practice is akin to giving a person you trust the combination code to your school locker. Since teens will inevitably become adults, product managers and security architects will eventually have to account for such practices in their applications. Customer-focused organizations will need to balance the desire to protect people from themselves with the need to give customers what they want. Some say that passwords will eventually go away and be replaced by biometrics and other technologies. Perhaps. In any case, people’s desire and sometimes legitimate need to share account access will persist. Security professionals and product managers will need to figure out how to provide such capabilities while accounting for meaningful risks.